Give accolades to your highest performers, successful business partners, and time honored staff and more with this personalized freestanding award. This Chaintre I Medium Crystal Wedge Award will creates a look that’s sure to catch their eye. 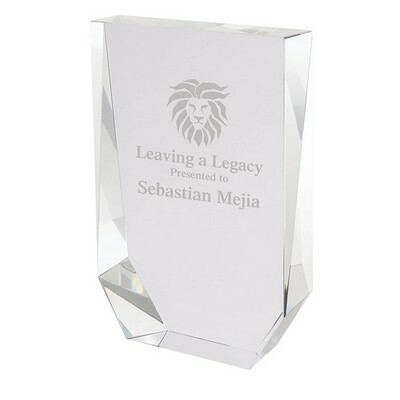 Imprints on the back are magnified, ensuring they are noticed by all. 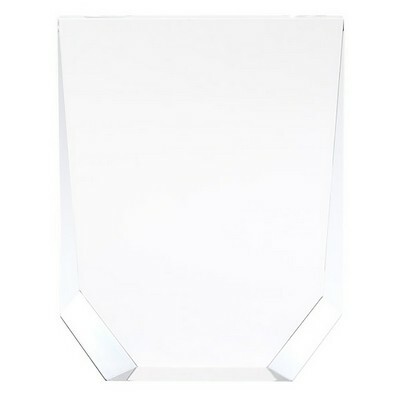 Comes with Clear acrylic reflects the light just like glass, but it has a durable quality and a more cost-effective price. Insert your company details to create impressive Custom Logo Products.